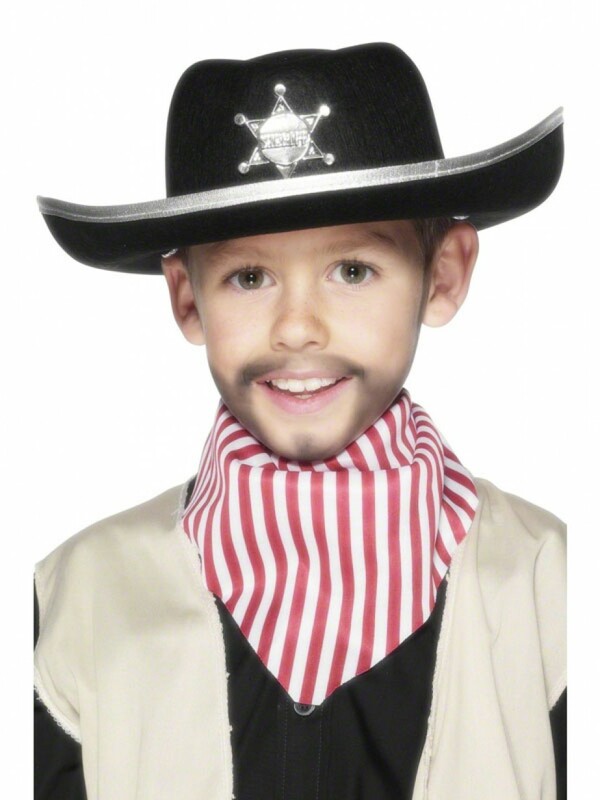 A Children’s black felt Cowboy hat, with string fastening & ‘Deputy Sheriff’ badge. A perfect Wild West accessory! A kids black felt hat, with white leather effect rim, and white string fastening. The hat has a silver ‘DEPUTY SHERIFF’ plastic star badge on the front, as pictured. The hatmeasures approximately 34cm across, in a rigid shape. A great accessory which is perfect for any Wild West outfit or instant dressing up fun!